By now, we have already heard tons about inspiring first-generation hawkers, and most probably have quite a few names at their fingertips. Adding on to the list of food places helmed by such hawkerpreneurs is Boon’s Noodles. 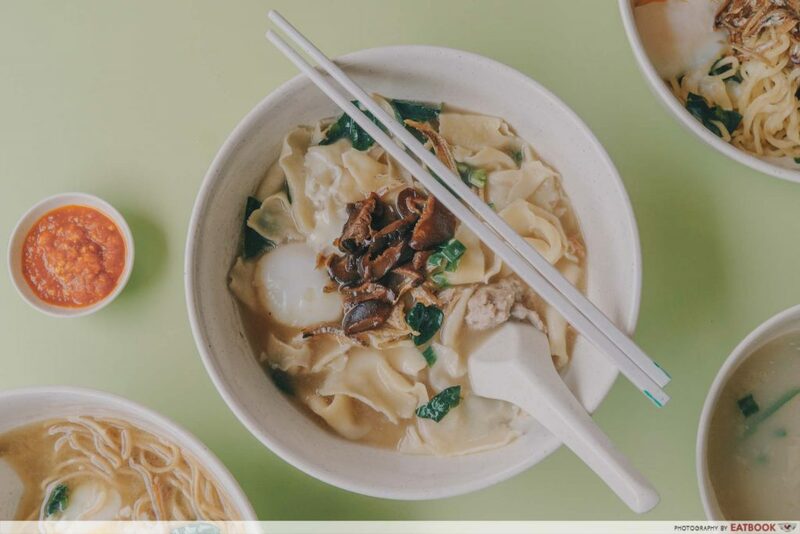 Started by Raffles Institution alumnus Chan Boon Wee, Boon’s Noodles specialises in ban mian handmade by the man himself! The stall opens six days a week, but the hardworking chap goes to work on Sundays anyway just to prep for the week ahead. Aside from making the dough himself every morning, Boon Wee also insists on frying ikan bilis and making chilli sauce by hand, refusing to go for factory-made ones. The first dish we tried was Mee Hoon Kueh (Soup) ($3.50). 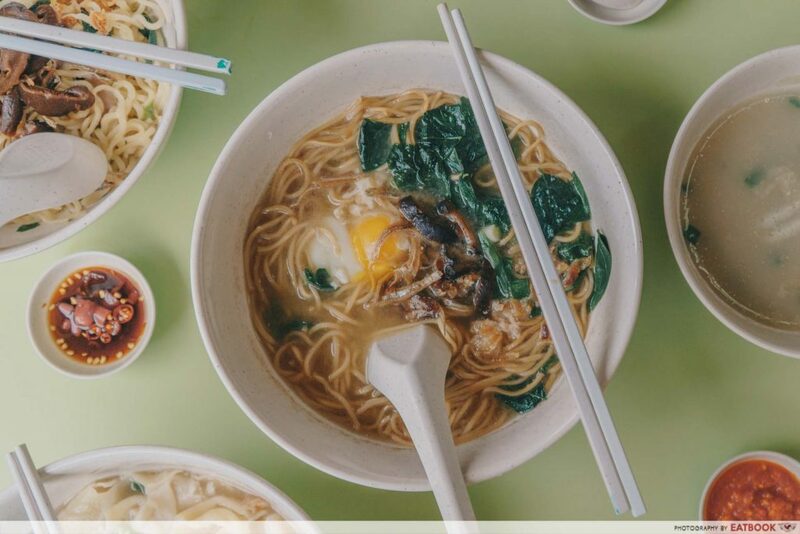 Served in a fragrant light brown broth, the bowl comprised of bite-sized mee hoon kueh, a half-boiled egg, sayur manis, minced meat, and braised mushrooms. 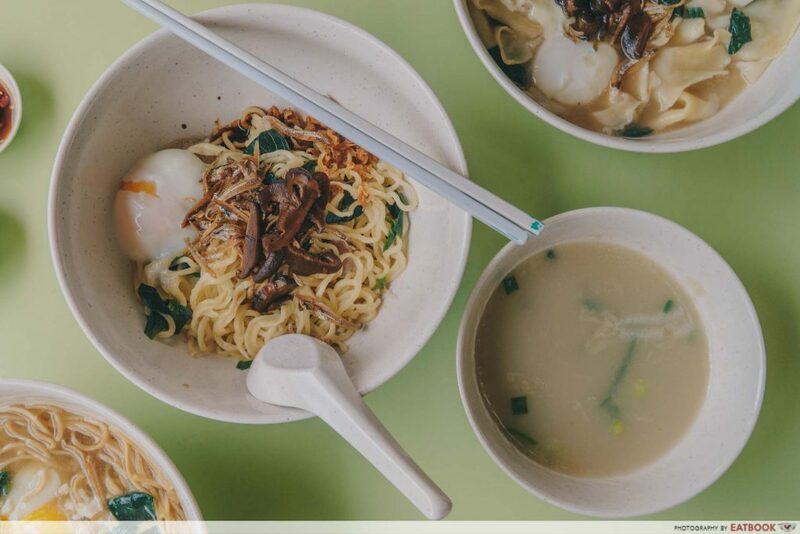 Boon’s Noodles is one of the few mee hoon kueh stalls in Singapore that still serves sayur manis. 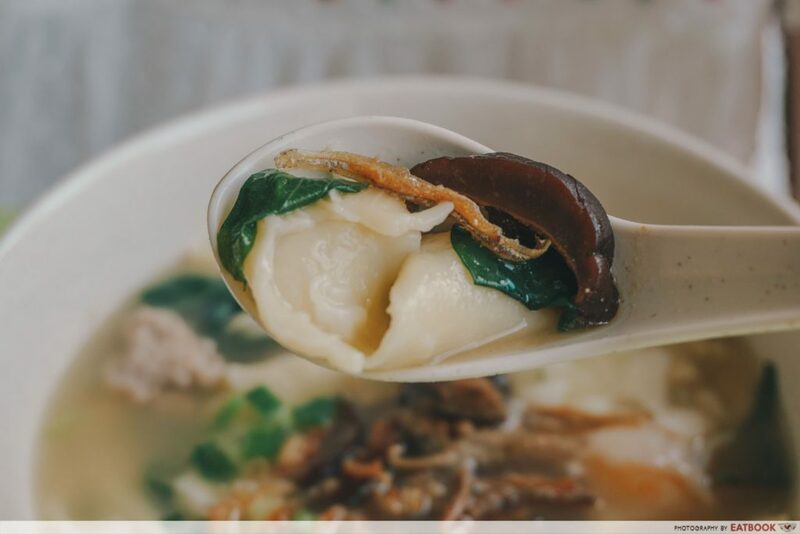 While this vegetable is more difficult to source as compared to cai xin and spinach, Boon Wee feels he should include it as it’s one of the traditional ingredients of mee hoon kueh. Having grown up helping my mother hand-make mee hooh kueh, I’ve learnt how to identify good ones. The mee hoon kueh here is generally soft with a slight bite to each mouthful. Unlike the ones at home that are often too thick and starchy on some ends and overly thin on the others, each piece in this bowl had a balanced texture. 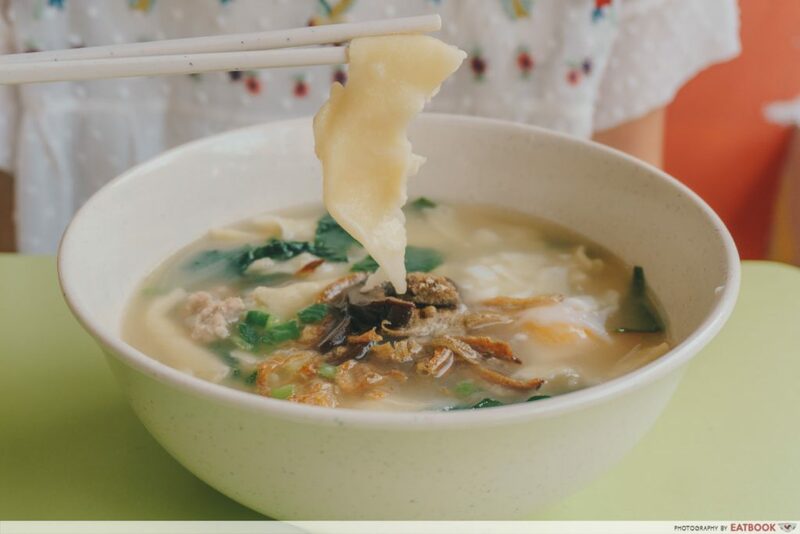 The best thing was how the mee hoon kueh absorbed the savoury soup, making it hard for me to stop munching down the doughy noodles piece by piece. Another thing that took me by surprise was the huge pieces of minced pork. Marinated by the young hawker, the minced meat carried a strong taste of sesame oil and had fatty bits that melted in my mouth. For $3.50, the amount of ingredients and mee hoon kueh given in each bowl was more than what we paid for. 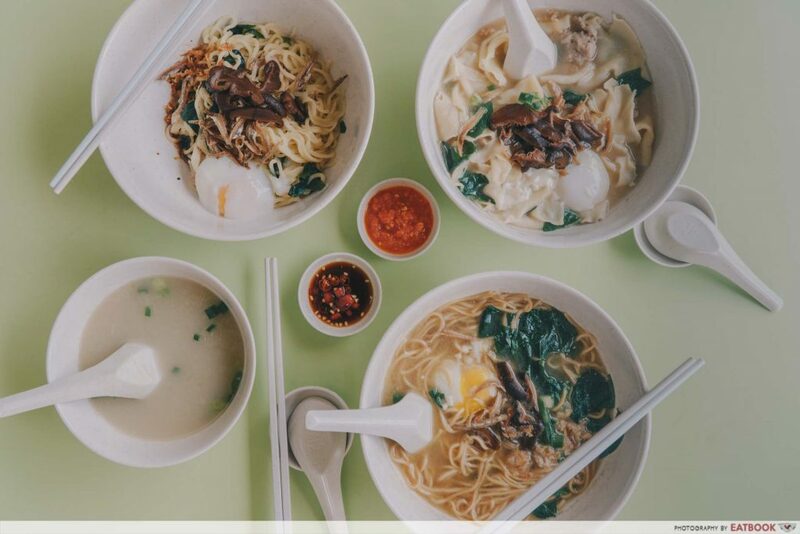 Though delicious, the mee hoon kueh also filled us up fast and unless you are really hungry, a single bowl will probably be enough to satisfy two! Another dish we tried was their You Mian (dry) ($3.50). 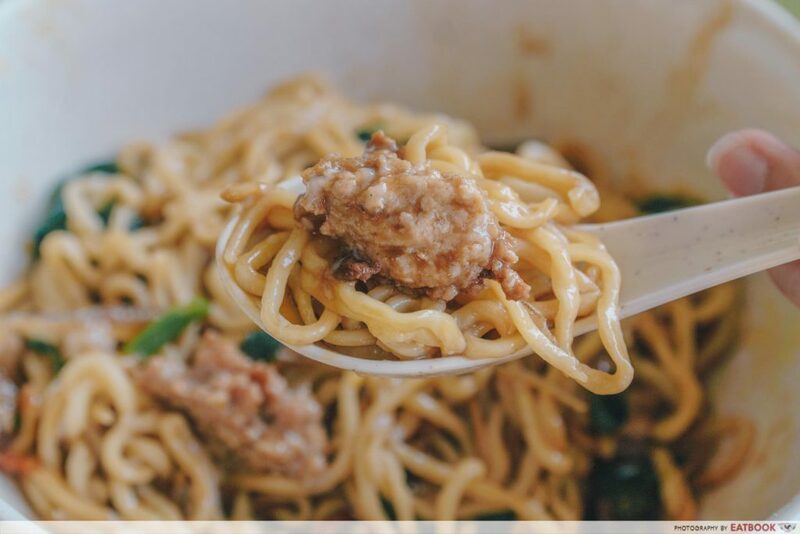 This came with medium-sized strands of noodles sitting on black sauce and shallot oil. 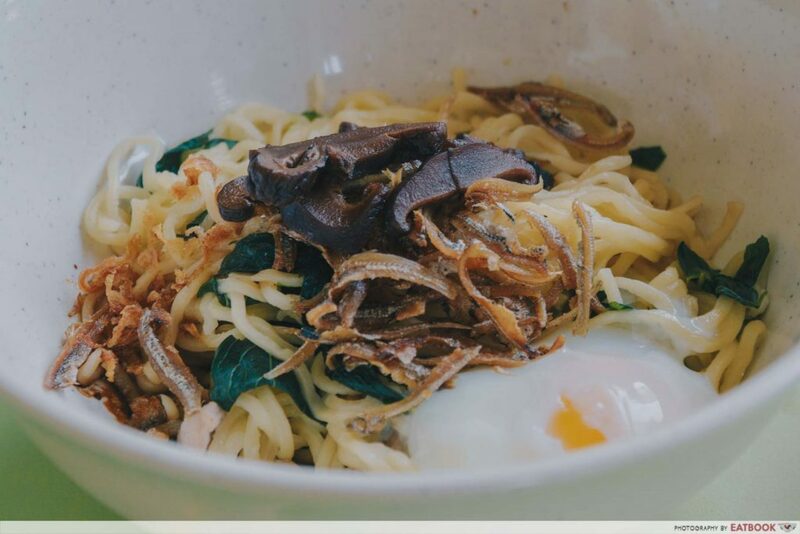 This dish leaned towards a sweeter flavour with a hint of saltiness from the handmade noodles. The well-flavoured al dente noodles made it a delightful dish though there was nothing that particularly stood out to me. Though not their specialty, their Po Chai Mian ($3.50) stole my attention. 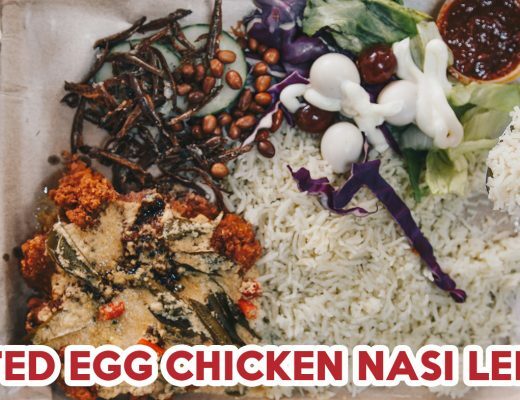 The aroma of ee mee overpowered the other two bowls and though I’m not a big fan of the egg noodles, I was excited to try it. 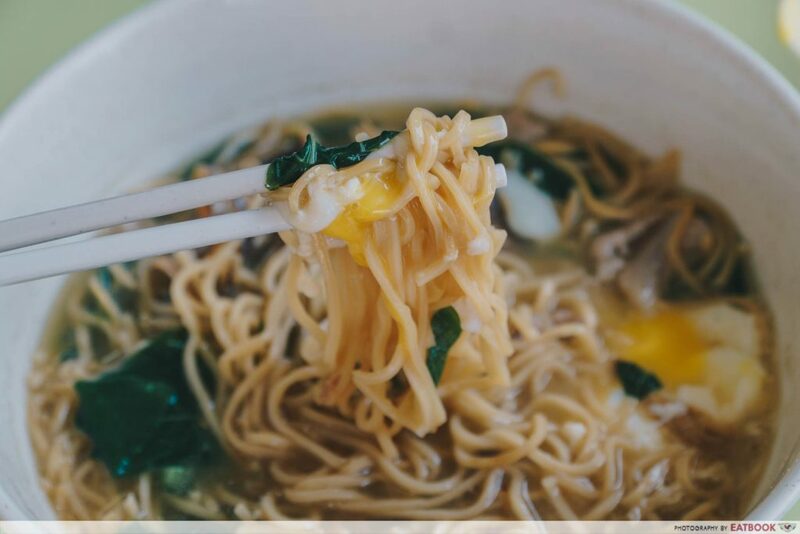 Compared to the other two dishes, the Po Chai Mian was much heavier in taste, probably because the ee me enhanced the saltiness of the soup instead of balancing it out. Though I found this too salty for my liking, it would satisfy those who like strong flavours. In general, the Po Chai Mian was a decent bowl of noodles but had nothing to shout about. While it was tasty and hearty, I’d give it a miss for their mee hoon kueh the next time I visit! 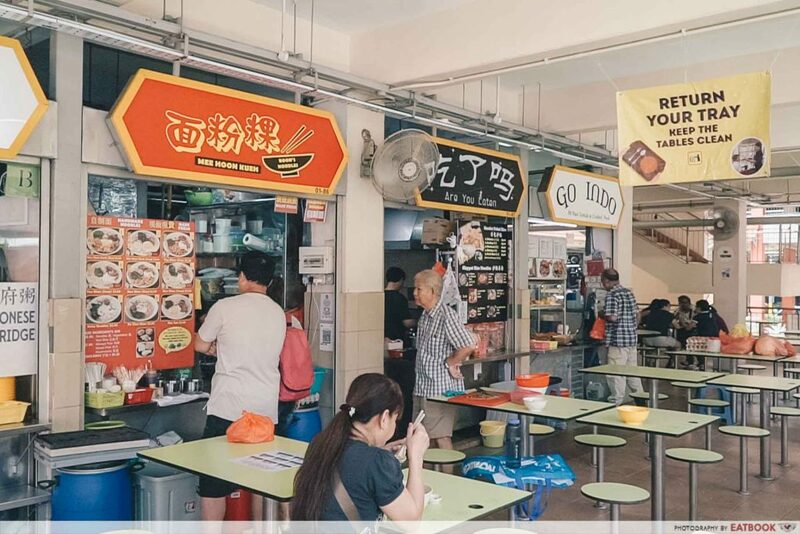 Boon’s Noodles can be found at the edge of the first level of Golden Mile Food Centre. It is hard to miss with their bright red signboard. 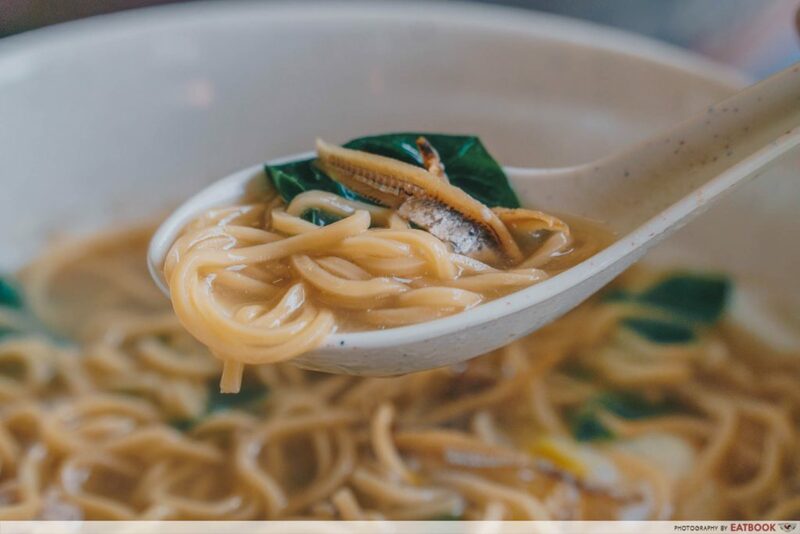 As each bowl of noodles is cooked upon order and single-handedly prepared by the young hawker, you might have to wait up to five minutes for your order! Boon’s Noodles’ mee hoon kueh was one of the best I’ve had in a while. 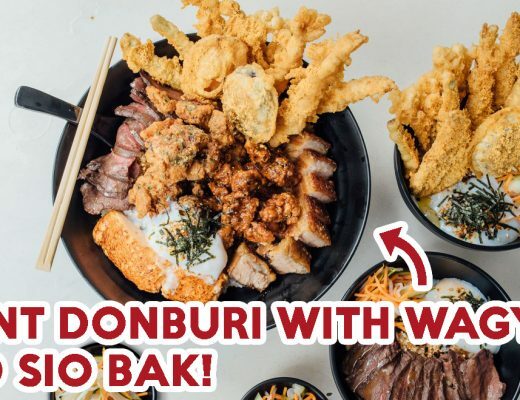 Other than the affordable price and generous portion, they also striked a good balance between the texture and taste of mee hoon kueh, and I’m already planning my next visit. Photos taken by Ho Jing Yi.